INVITATION: The U.S.-Ukraine Business Council (USUBC), www.USUBC.org, invites you to attend a “FINANCING FOR BUSINESS – US EXIM OPEN FOR UKRAINE, EBRD, OPIC ROUND-TABLE, on Tuesday, March 12, 2019, from 3 p.m. to 5 p.m., with a light reception, in the offices of USUBC member, McCarter & English, 1301 K St., NW, Suite 1000 West (10th Floor), Washington, DC 20005. The following panel of experts will make presentations followed by a discussion/Q&A session. RSVP: Registration is required for attendance at the USUBC Financing for Business Roundtable. Please register by sending an e-mail to mwilliams@usubc.org. There is no charge for the meeting. Photo ID is required. USUBC thanks McCarter & English law firm, a new member of USUBC, for hosting the USUBC Business Luncheon in Washington. Washington, DC, February 15, 2018. Yesterday, at a historic ceremony near the White House, a Ukrainian State-owned enterprise, NAEK Energoatom, and a special purpose statutory Trust, have concluded a $250 million loan transaction to finance the bulk of a new Ukrainian Centralized Spent Nuclear Fuel Storage Facility being built in the Chernobyl exclusionary zone. It is the first time i political risk insurance provided by the Overseas Private Investment Corporation (OPIC) – a US Government agency- has been used to issue bonds in the US capital markets, in order to finance a state-owned enterprise. Based on the insurance, and its merits, the project received Aa2 credit rating from Moody’s, which in turn allowed the project to benefit from significantly lower financing costs for the financing of the project. The project marks unique collaboration between the US and Ukrainian governments, major US public and private companies and a state-owned enterprise. Broad Street Capital Group proudly acted as the Financial Developer on this transaction and would like to congratulate all participants and thank the entire project team for its professionalism, dedication and perseverance. As the Financial Developer, Broad Street Capital has provided project facilitation, assembled the financing team , developed the insurance application, and secured financial support for the project. Based in the heart of New York City’s financial district, Broad Street Capital Group (www.broadstreetcap.com) is an international private merchant bank, which since 1988 has served several foreign governments, multiple state-owned companies, as well as SMEs in emerging markets. Through its member companies, the Group focuses on arranging project financing in the $50-500 million range, providing political risk mitigation, export management services and cross-border market development advisory. The Group has done business in over 35 countries, spanning the emerging markets landscape from Bangladesh to Ukraine. We at Broad Street Capital Group are excited and proud to be part of this historic financing. Moody’s unprecedented credit rating underscores the hugely positive effect of US Government’s credit enhancement to offer long-term, low-rate financing in emerging markets, such as Ukraine, for large infrastructure projects containing US exports. London, 18 January 2018 — Moody’s Investors Service, (Moody’s) has today assigned a definitive Aa2 rating on the approximately U.S. $250,000,000 of senior secured Notes (the Notes) to be issued by Central Storage Safety Project Trust (the Issuer). The outlook on the rating is stable. The Issuer will use the proceeds of the Notes for the purpose of funding a senior term loan facility of up to $250,000,000 (the Loan) to State Enterprise National Nuclear Energy Generating Company “Energoatom” (Energoatom or the Borrower), pursuant to a credit agreement between the Issuer and the Borrower (the Credit Agreement), and to fund related reserves. Energoatom will use the proceeds of the Loan to finance a portion of the costs of constructing the first stage of a long-term central spent nuclear fuel storage facility on dedicated land in the Chornobyl exclusionary zone, which will be completed, in part, pursuant to a supply contract with Holtec International. Under the Credit Agreement, the Borrower has an unconditional obligation to pay debt service. The Government of Ukraine (the Guarantor) has issued an irrevocable and unconditional guarantee (the Guarantee) of the Borrower’s payment obligations under the Credit Agreement. Moody’s rating of the Notes is based solely upon its view of the credit benefit of a political risk insurance policy provided for the benefit of the Issuer by the Overseas Private Investment Corporation (OPIC), an agency of the government of the United States (Government of United States of America, Aaa stable). The insurance policy covers expropriation (limited to nonpayment of an arbitral award and denial of justice) (the OPIC Policy) in relation to the Credit Agreement and the Guarantee. The OPIC Policy insures the Issuer against nonpayment of an arbitral award by the Borrower and the Guarantor or denial of justice on the part of the Guarantor. Commenting on the rating action, Christopher Bredholt, a Moody’s Vice President and Senior Analyst, said “The Energoatom transaction is one of a number we have seen incorporating credit enhancement from development finance institutions and multilateral development banks, as they seek to crowd-in risk averse private sector capital to support infrastructure investments in more challenging sovereign environments in emerging markets”. Mr. Bredholt continued “The underlying transaction structure, with New York law obligations and submission to arbitration, in the context of the Issuer’s available reserves, supports our view of the credit benefit of the OPIC policy”. Energoatom is a state enterprise organized under the laws of Ukraine (Government of Ukraine, Caa2 positive), and is the largest electricity producer in the country, with nearly 15 gigawatts of nuclear capacity, contributing approximately 50% of Ukraine’s electricity. Central Storage Safety Project Trust is a State of Delaware statutory trust formed under the Delaware Statutory Trust Act, and operates pursuant to a Trust Agreement. So long as any of the Notes remain outstanding, the Issuer will have no power to engage in any business activity, or to create, assume or incur indebtedness or other liabilities, other than in the performance of its duties and obligations as contemplated in the Trust Agreement. The Issuer is a bankruptcy-remote, limited-purpose financing trust and its activities will generally be limited to making the Loan, acquiring and owning the OPIC Policy, issuing the Notes and making payments thereon, and related activities. The Aa2 rating on the Notes reflects as strengths: (1) the political risk insurance policy provided by OPIC; (2) the Issuer has access to liquidity adequate to cover approximately 2 years of debt service in the event of instigating a consolidated arbitration process following payment default by Energoatom and the Government of Ukraine, as well as reserves to cover legal and administrative expenses, which Moody’s considers appropriate given the deal structure and insurance claims process; (3) the project is a stated policy priority for the U.S. and Ukrainian governments, as the facility will be developed to store spent fuel from three of Ukraine’s four nuclear power plants, offering an efficient and secure process that will reduce Ukraine’s dependence on Russia; (4) the key transaction documentation is governed by New York law, the obligations of Energoatom are unconditional, corporate obligations (Issuer is not directly exposed to project-related risks), and the Government of Ukraine waives sovereign immunity in respect of the Guarantee; (5) the OPIC Policy requires a valid arbitral award against the Guarantor, but does not require the enforcement of the arbitral award in either a US or a Ukrainian court, and in Moody’s view this limits potential sources of delay to a timely recovery under the OPIC Policy; and (6) the transaction parties have contractually agreed to a resolution of disputes by a single, consolidated arbitration process to be conducted under expedited arbitration procedures of Article 30 of the International Chamber of Commerce Rules, located in New York. The rating does, however, reflect the following challenges: (1) the OPIC policy does not provide a guarantee of payment under the Notes, and is not intended to directly or indirectly transmit an unconditional OPIC guarantee of Energoatom’s payment obligations under the Credit Agreement; (2) if the Issuer is unable to obtain a final arbitral award prior to the full depletion of its available liquidity, the Noteholders would not receive scheduled debt service; (3) there is only a limited, relatively untested track record of the International Chamber of Commerce (ICC) expedited arbitration procedures which have only applied to arbitration agreements executed since March 2017; (4) it may be difficult to prove that any efforts by Ukraine to frustrate obtainment of an arbitral award will satisfy the conditions for a valid Denial of Justice claim under the OPIC Policy. Moody’s does not currently consider there is scope for an upgrade. Moody’s could downgrade the rating on the Notes if: (1) the United States government bond rating were downgraded; (2) in Moody’s view, there is a material, detrimental change in the standing of OPIC as a U.S. government agency, or to the full faith and credit of the United States which has been pledged to secure the full payment by OPIC of its obligations under the insurance policy; or (3) Moody’s considers there is a non-negligible risk of the arbitration process either (1) taking longer than anticipated and materially eroding the Issuer’s available liquidity or (2) returning an unfavourable outcome. The principal methodology used in this rating was Rating Transactions Based on the Credit Substitution Approach: Letter of Credit-backed, Insured and Guaranteed Debts published in May 2017. Please see the Rating Methodologies page on http://www.moodys.com for a copy of this methodology. For ratings issued on a program, series or category/class of debt, this announcement provides certain regulatory disclosures in relation to each rating of a subsequently issued bond or note of the same series or category/class of debt or pursuant to a program for which the ratings are derived exclusively from existing ratings in accordance with Moody’s rating practices. For ratings issued on a support provider, this announcement provides certain regulatory disclosures in relation to the credit rating action on the support provider and in relation to each particular credit rating action for securities that derive their credit ratings from the support provider’s credit rating. For provisional ratings, this announcement provides certain regulatory disclosures in relation to the provisional rating assigned, and in relation to a definitive rating that may be assigned subsequent to the final issuance of the debt, in each case where the transaction structure and terms have not changed prior to the assignment of the definitive rating in a manner that would have affected the rating. For further information please see the ratings tab on the issuer/entity page for the respective issuer on http://www.moodys.com. Please see http://www.moodys.com for any updates on changes to the lead rating analyst and to the Moody’s legal entity that has issued the rating. Please see the ratings tab on the issuer/entity page on http://www.moodys.com for additional regulatory disclosures for each credit rating. Happy Holidays and all the Best in the New Year! UKRAINE – Today, the government of Ukraine hosted a signing ceremony in Kyiv for the Energoatom Central Spent Nuclear Fuel Storage Facility Project, which helps move Ukraine closer to energy independence by giving Ukraine the capability to domestically store spent nuclear fuel. OPIC is providing $250 million in political risk insurance and Holtec International, based in Camden, New Jersey, is providing the spent fuel storage casts and other equipment. The documents included the credit agreement, the sovereign guarantee, the arbitration agreement, and the foreign enterprise support agreement. Representatives from Energoatom, Bank of America/Merrill Lynch, Broad Street Capital Group, and an OPIC trustee were in attendance. Thank you all for the invitation to attend today’s signing ceremony in support of the Energoatom Central Spent Nuclear Storage Faculty. I regret that I was unable to attend this important milestone. Many of you have worked very hard to get us here today and I thank you for your commitment. I am very proud that OPIC has been able to support such an important project here in Ukraine. When I became the head of OPIC just a few months ago, the first international trip I took was to Ukraine. I was very impressed with what I saw here. Despite some challenges facing Ukraine, we see the potential for high-impact development projects here – particularly in the energy sector. It is a pleasure for the United States to help move Ukraine towards energy independence by providing the capability to store spent nuclear fuel in-country, thus eliminating the need to ship the spent fuel to Russia for storage. With total project costs of $410 million, Energoatom cannot self-finance the entire project. Therefore, OPIC has committed up to $250 million in political risk insurance to support the development, construction, and commissioning of the Energoatom Central Spent Nuclear Fuel Storage Facility in Ukraine. This storage facility will be developed to store spent fuel from three of Ukraine’s four nuclear power plants, offering an efficient and secure process. The United States-based company, Holtec International – located in Camden, New Jersey – will supply dry storage casks, transportation casks, ancillary equipment, and engineering and training to the facility over an expected five-year period. I’d like to thank our partners at Bank of America/Merrill Lynch without whom this deal would not be possible. They will arrange for the sale of OPIC’s $250 million commitment in the U.S. capital markets in the form of fixed-rate bond securities. The proceeds will fund the 20-year loan to Energoatom. We are very pleased that Ukraine will support the OPIC-insured loan financing by issuing a sovereign guarantee for repayment of the loan. This is the first OPIC deal structured in this fashion and we are pleased to partner on an innovatively financed project. By working together, we will help Ukraine meet its energy needs, while supporting the U.S. economy with the creation of manufacturing jobs. 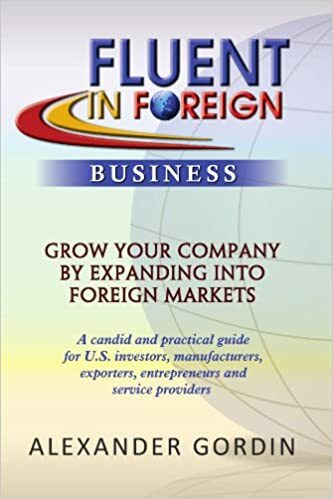 The Overseas Private Investment Corporation (OPIC) is a self-sustaining U.S. Government agency that helps American businesses invest in emerging markets. Established in 1971, OPIC provides businesses with the tools to manage the risks associated with foreign direct investment, fosters economic development in emerging market countries, and advances U.S. foreign policy and national security priorities. OPIC helps American businesses gain footholds in new markets, catalyzes new revenues and contributes to jobs and growth opportunities both at home and abroad. OPIC fulfills its mission by providing businesses with financing, political risk insurance, advocacy and by partnering with private equity fund managers. An Opic-wrapped Energoatom nuclear waste storage facility project bond is nearing launch. The enhanced bond will be structured around Ukrainian risk, nuclear risk, and the vagaries of the arbitration process. A $250 million enhanced bond financing for Ukrainian nuclear operator Energoatom is likely to come to market in November this year. The bonds, for which Bank of America is placement agent, would carry breach of contract insurance from the United States’ Overseas Private Investment Corporation (Opic), and fund construction of the Energoatom Central Spent Nuclear Fuel Storage Facility near Chernobyl. Opic is wrapping the debt in large part because a US manufacturer, Holtec International, is supplying the facility with 94 double-walled stainless steel casks and related equipment. Broad Street Capital, a New York-based advisory firm, is financial adviser and what it describes as “financial developer” for the project.